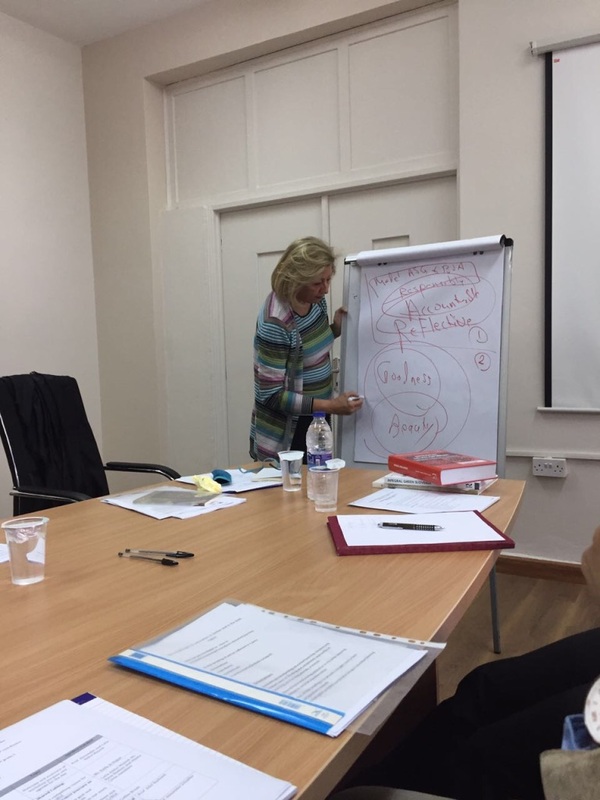 4 April 2017: The Hikma (“Wisdom”) Circle of the Ahliyyah School for Girls and the Bishop’s School for Boys met with Trans4m for a workshop on the evolution of the integral education approach of both schools – with a view to provide inspiration for an Arab and Global Educational Renaissance. Convened by Trans4m PhD candidate Laila Abdul-Majeed, and catalyzed by Trans4m’s Alexander Schieffer, the Hikma Circle came together for a strategic workshop to jointly revisit the major goals, objectives and milestones of the schools’ current process towards renewing and evolving its holistic educational model – as both schools merge to become a co-educational school. 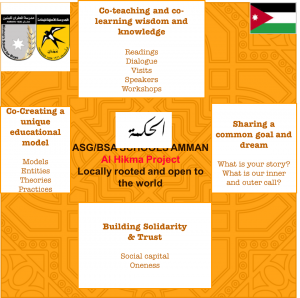 The Hikma Circle is a dedicated group of highly qualified teachers and staff from the ASG/BSA faculty, jointly committed to drive this transformative Process for Holistic Development (PHD), aligned with the research-to-innovation PhD of Laila Abdul Majeed. 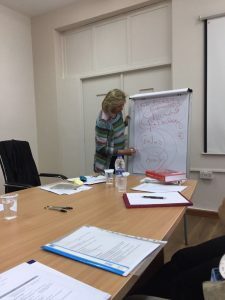 Haifa Najjar, Superintendent of both schools and also a member of Trans4m’s Global Wisdom Council, provided inspiration and direction during the workshop – placing the articulation of the educational model and process not only at the heart of the new co-ed school, but also as a contribution to the urgent reformation of Jordan’s educational sector, as well as an inspiration for the Middle East and the World. 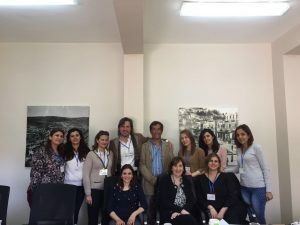 The workshop group was further enriched by Jordan’s management educator Prof. Adel Al Rasheed from Irbid’s Yarmouk University, who provided invaluable inputs into the existing challenges faced within the Jordanian and Middle Eastern education system, and shared insights into a possible renewal of this education system through a reconnection to the rich cultural and knowledge resources of the Middle East.